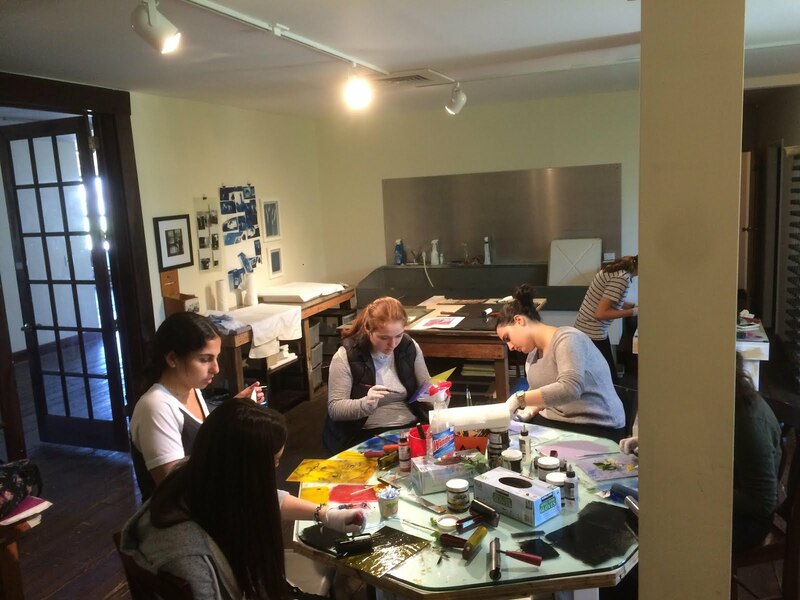 Recently, students from the Yeshivah of Flatbush Joel Braverman High School Advanced Studio Art class participated in a three hour printmaking workshop at the Rockaway Artists Alliance in Fort Tilden Gateway National Park. Under the guidance of high school art instructor, Mr. Jason Novetsky, each student explored the expressive possibilities of printmaking techniques including Monoprint and Solar Plate Etchings. It was an educational and creative day!